The Food And Drug Administration has approved the first ultrasound system for the ablation of prostate tissue in the United States. This comes as a bit of a surprise from the FDA considering that last year the their advisory committee voted twice against recommending HIFU as a treatment for prostate cancer. The first time was in July 2014 when the FDA’s Medical Devices Advisory Committee voted against recommendation voicing concerns over the lack of available data from the research results the sponsor’s didn’t present as part of their US pre market approval application. The second time was in October 2014 when the same panel again voted against approval for the Sonoblate 450. High-Intensity Focused Ultrasound or HIFU is a is a medical procedure that utilizes high intensity focused ultrasound energy to locally heat and destroy diseased or damaged tissue through ablation. The approved system, the Sonablate 450, which was developed by SonaCare Medical is the same device that was passed o approval for treating prostate cancer. Outside of the US, HIFU has been in use as a treatment for prostate cancer with more than 50,000 men treated globally with focused ultrasound and is the leading clinical application of the technology. 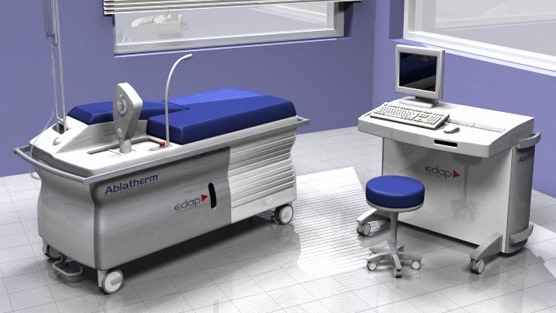 In the US focused ultrasound is currently being used to treat uterine fibroids and relieve pain from bone metastases. HIFU is still relatively new procedure in North America and despite FDA approval further testing and research is required in order to validate its safety. Also if the procedure is unsuccessful in eliminating a patient’s prostate cancer it is near impossible to remedy the condition via surgery.